PUP Joins Skeleƚon Crew, We Turn Four This Year and Other Dumb Stuff That’s Happening! IT’S FINALLY OFFICIAL. PUP has joined the Skeleƚon Crew team! The Skeleƚon Crew is a small, select group that can man a ship on its voyage. Our voyage is raising money for those who need it. We have teamed up with Stefan, Nestor, Zack and Steve to collaborate on a shirt together! But not just any shirt, a shirt for charity. 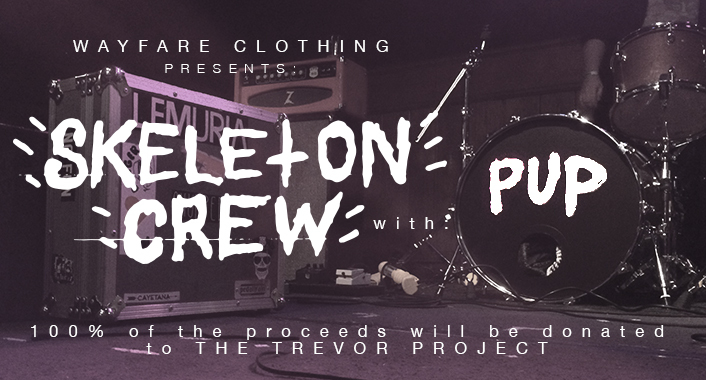 100% of the proceeds will be donated to The Trevor Project. If you are unfamiliar with the Trevor Project, they are the leading national organization providing crisis intervention and suicide prevention services to lesbian, gay, bisexual, transgender and questioning (LGBTQ) young people ages 13-24. These shirts will be available for pre-order starting Monday (1/19/2015). We are honored to have Zack (the drummer) work on the design for this new shirt and being able to help youth and teens in need. On another note, this is our fourth year of existence on this planet and it is all thanks to you guys. We will be throwing in all sorts of extras in all orders place this year; stickers, buttons, candy, music, baseball cards, Legos, Oreos, pictures of puppies or whatever your heart may desire! We just want to say thank you for supporting us and going on this voyage with us! 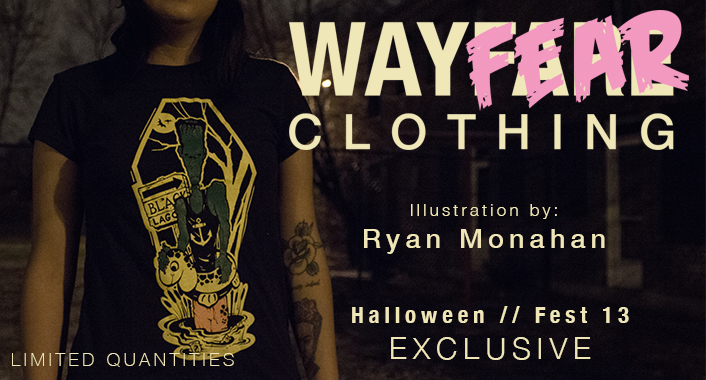 Also still available, but in limited quantities, the WayFEAR 2014 tee designed by tattoo artist and illustrator: Ryan Monahan. This shirt was originally available only at The Fest 13 in Gainesville, Florida. This item will not be reprinted, don’t miss out! Follow Ryan Monahan on Instagram at: @what_thehell for more awesome illustrations and Universal Monsters. 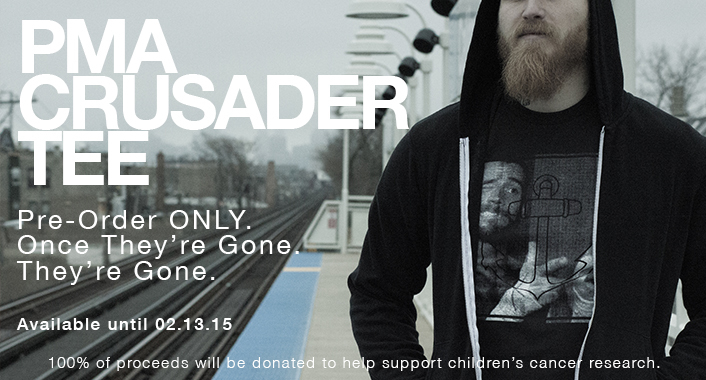 PMA Crusader Tee – Now Available For Pre-Order! This shirt is being created solely for the sake of raising donations for a family friend. 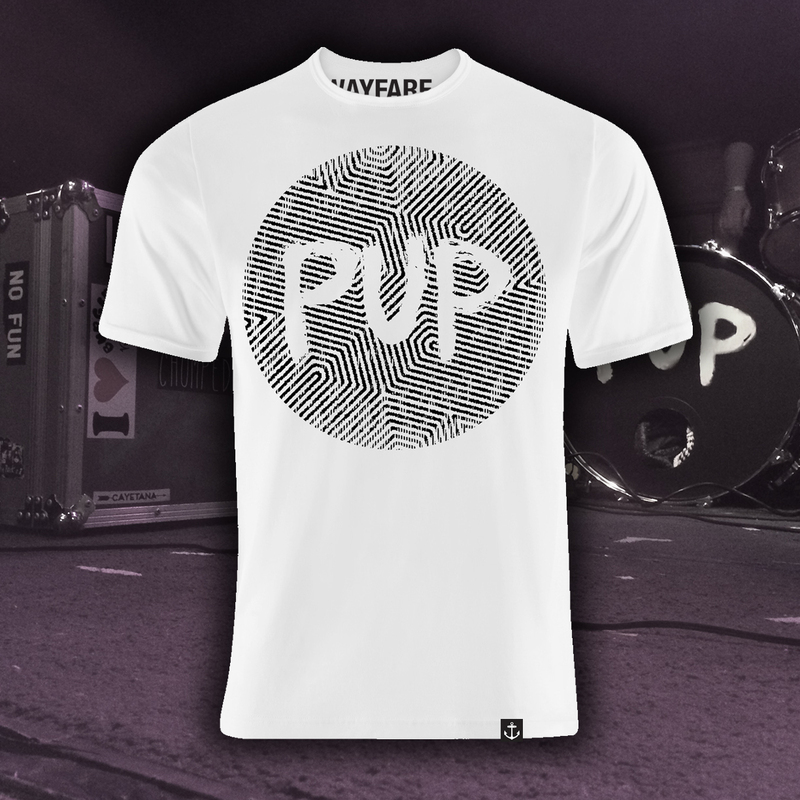 100% of the proceeds of this tee will be donated to fund cancer research. We wanted to create a shirt that embodied the spirit of Cameron so we decided to incorporate many of the things that brought joy and a Positive Mental Attitude into his life. 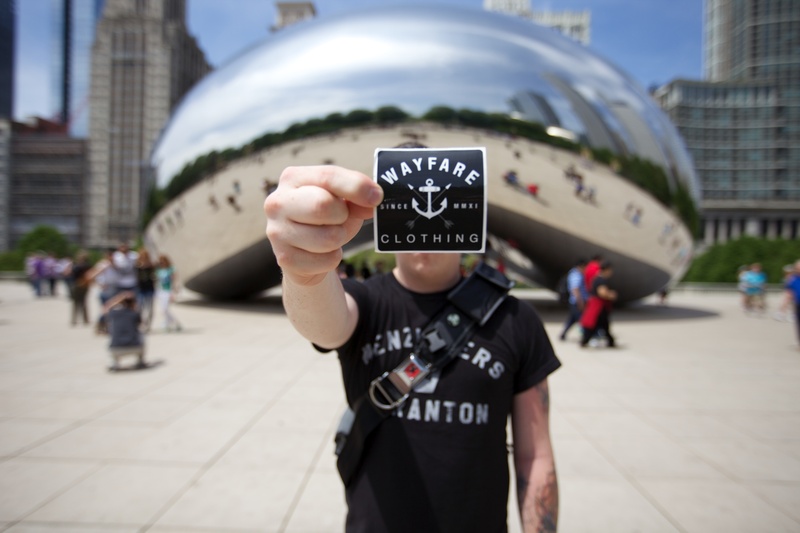 Wayfare Clothing 3 Years and On!